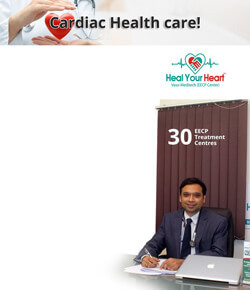 Heal Your Heart ("Heal Your Heart", "Company", "We", "Our" or "Us") is the owner of www.healurheart.com and the Heal Your Heart mobile application (the URLs and mobile application together referred to as "Websites" and individually a "Website"). The terms 'You' or 'Your' refer to You as the user (whether You are a Registered User, Unregistered user ) of the Website or of the services offered by the Website ("Service"). 1.3. You have the option not to provide us the Personal Information sought to be collected. 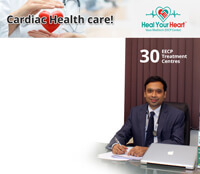 You will also have an option to withdraw Your consent at any point, provided such withdrawal of consent is intimated to us in writing at contact@healurheart.com.. If You do not provide us Your Personal Information or if You withdraw the consent at any point in time, We shall have the option not to fulfil the purposes for which they said Personal Information was sought and we may restrict You from using the Website. (i) In order to enable You to use the Website and utilize the Services. For instance, You may provide Your health related information on the Website in order to consult privately , or You may provide Your financial information in order to process a payment which You need to make on the Website. 7.2. While We will endeavour to take all reasonable and appropriate steps to keep secure any information which We hold about You and prevent unauthorized access, You acknowledge that the internet is not 100% secure and that We cannot provide any absolute assurance regarding the security of Your Personal Information. We nor any of the Health care practioner on Heal Your Heart will not be liable in any way in relation to any breach of security or unintended loss or disclosure of information caused by Us in relation to Your Personal Information. The Websites may contain links to other third party sites. The third party sites are not under the control of Heal Your Heart. Please note that Heal your Heart is not responsible for the privacy practices of such third party sites. Heal your Heart encourages You to be aware when You leave the Websites and to read the privacy policies of each and every third party site that collects personal information. If You decide to access any of the third-party sites linked to the Websites, You do this entirely at Your own risk. Any links to any partner of the Websites is the responsibility of the linking party, and Heal Your Heart shall not be responsible for notification of any change in name or location of any information on the Websites.